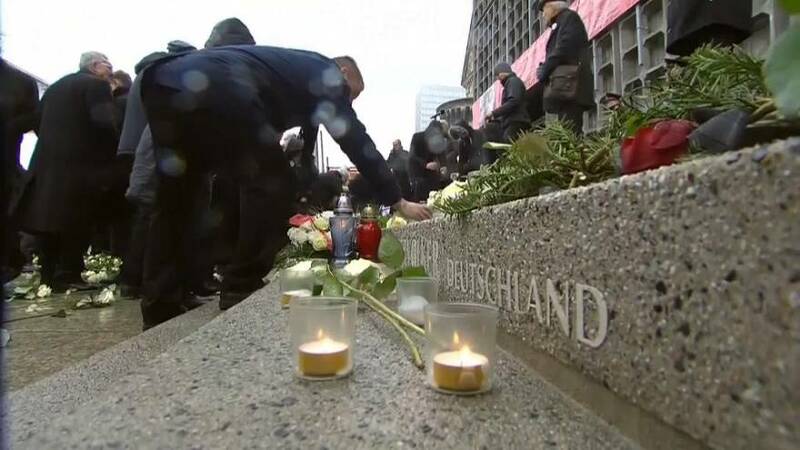 A year after the German Christmas market bombing which killed twelve people and injured dozens more, Chancellor Angela Merkel attended a ceremony at the site. But over the past year, many have criticised the way the German government has treated the families of the attack victims. Some have said authorities treated them callously or neglected them. But Merkel met with those who were affected to hear their concerns. "It was a very open and from the side of people who are concerned, a very merciless talk that showed the weaknesses of our State in dealing with this situation." Today is a day of mourning, but also a day of the will to do better, things which have not worked well. Anis Amri, a failed Tunisian asylum seeker with Islamist links, hijacked a truck, killing its driver and then ploughing it into a crowded Berlin Christmas market, wreaking havoc. The names of those who died in the attack have been inscribed on the steps in front of the Kaiser Wilhelm Memorial Church.